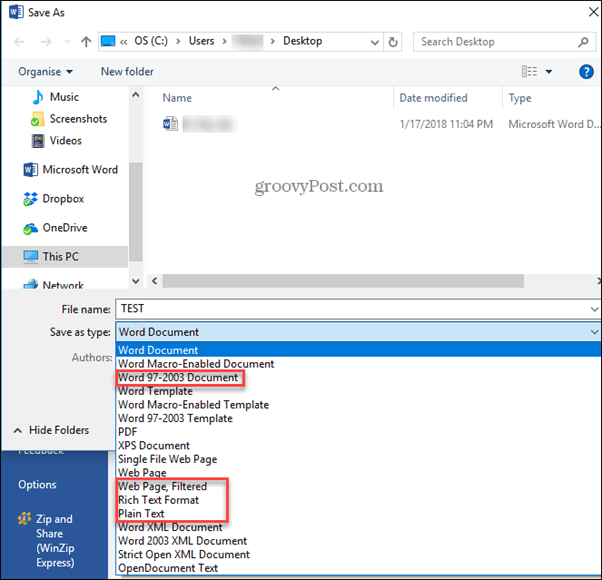 Microsoft Word can natively save to PDF and other formats without third-party applications. Here’s how. The first version of Word for Windows was released in the year 1989, and since that moment it has become the world’s favorite word processing program. It has made sharing the written word so much simpler, especially in this day and age. That is until someone asks for the document in PDF or any other format than the regular Word doc format. There are a few formats that may be asked of you, let’s figure out how to save them and share them. Go to File > Save As then pick a location or folder you want to save the file to. At the bottom of the window where it says Save as type:, click the drop-down menu and select PDF. 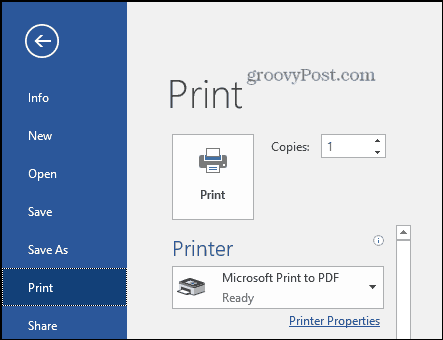 Another way to save a Word document as a PDF is to go to File>Print and under Printer choose Microsoft Print to PDF. That’s all there is to it. You can even password protect your PDF. RTF: Rich Text Format files are typically used by the Microsoft line of products, but they are also readable in macOS and Linux. RTF is readable by most word processors. It will keep the styling of the fonts intact. Plain Text: This is precisely what it sounds like. It is a file that is plainly just text. Formatting of the font will not be saved with this file format. 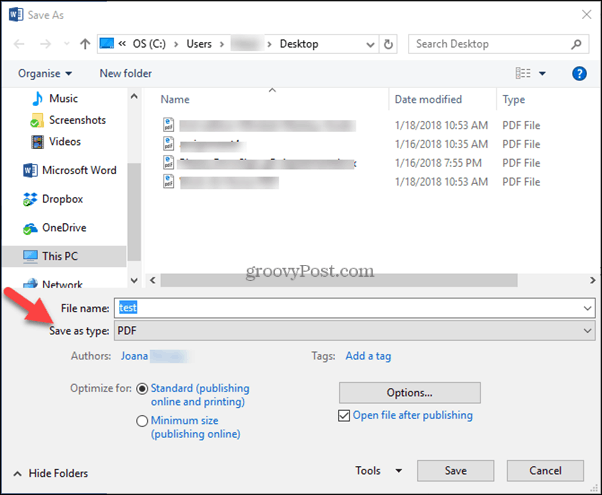 You can open this file type with Word, the Notepad app that comes installed on every Windows computer, or any plain text editor on any platform. Web Page, Filtered: Microsoft says the best way to save a Word document as a Web page is to save it as a Web Page, Filtered type. This preserves the formatting but keeps only the content, so the file size is small. Word 97-2003 Document: This isn’t being used quite as often, but you may still have a friend or family member that hasn’t quite gotten the opportunity to update their version of Word. Then you will need this option since current Word Docs are not compatible with 97-2003 programs. Microsoft Word 2016 has made it simple and easy to use Word. Saving your documents into other formats used to be a much bigger task in older versions, sometimes requiring add-ons or third party applications. Now it’s an easy three-step task that anyone can become familiar with it. What Word-supported formats do you find useful? Share your thought in the comments. But the PDF file saved via Word can be so ridiculously large! I still have to resort to a third party PDF creator.